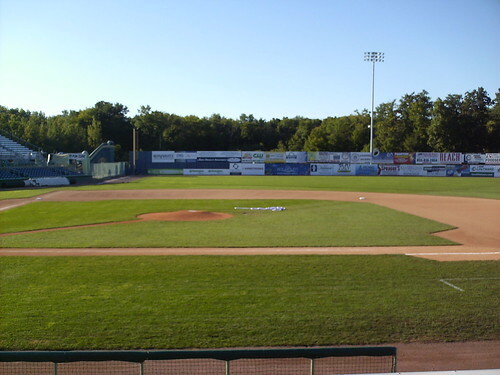 The view from behind home plate at Eastwood Field. 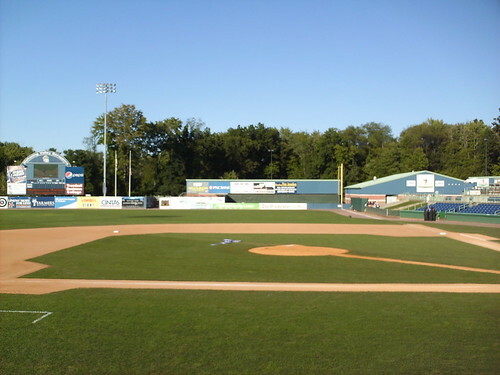 The view from down the third base line looking toward the scoreboard and clubhouses. 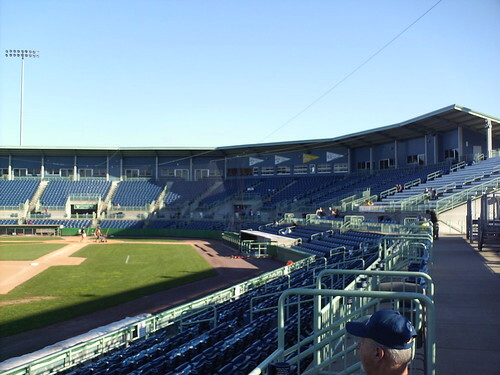 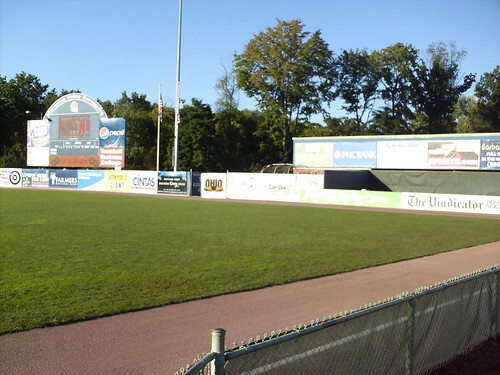 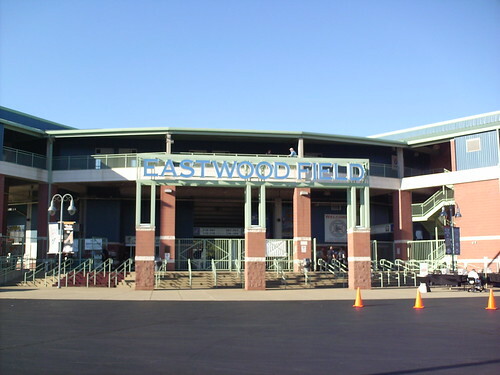 The grandstand at Eastwood Field as seen from the left field corner. 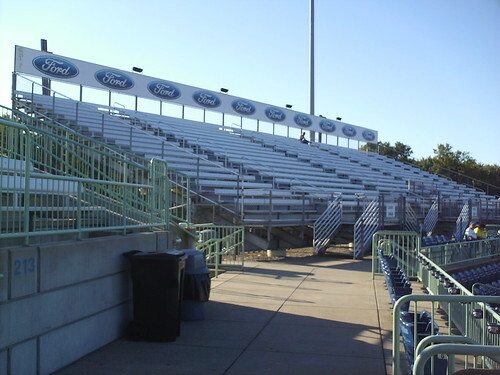 A large aluminum bleacher section sits in the left field corner, angled toward the field. 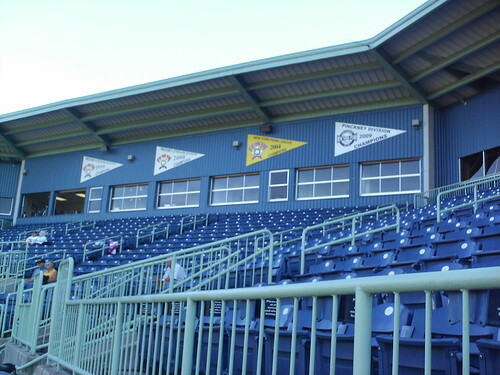 League and Division championship banners hang over the pressbox. 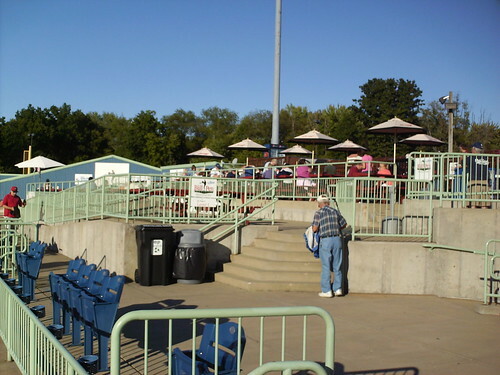 The picnic deck overlooks the field from the right field corner. 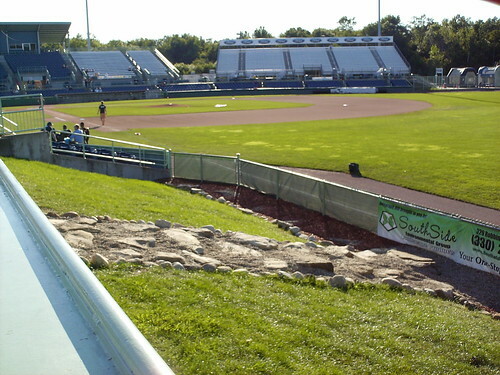 A small landscaped berm sits at the end of the first base grandstand. 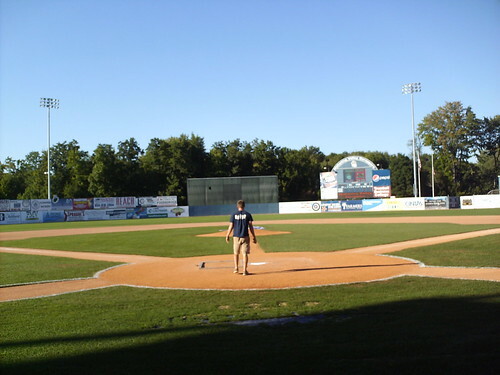 The large amount of foul territory behind the plate is broken up by two dirt paths to the dugouts. 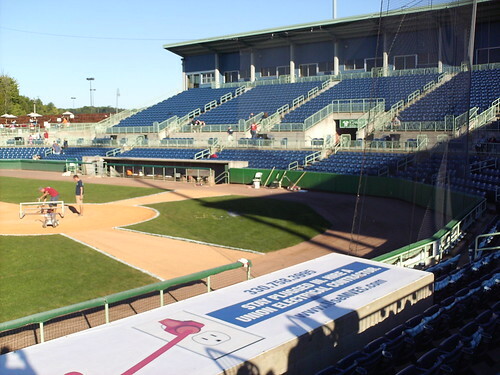 The otherwise uniform outfield wall dips in height at the bullpens in the corners. 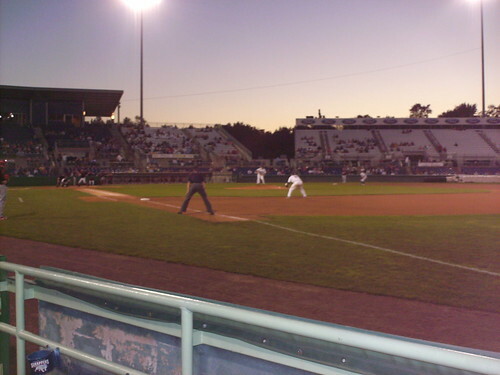 The Mahoning Valley Scrappers on the field during a game at Eastwood Field.